Historic Eureka Springs. Founded in 1879. Click here for a direct link to the Eureka Springs Visitors Guide published by the Chamber of Commerce. The roads less traveled can reveal treasures like Tugboats Place. Click on this for our blog on Fried Pies. Enjoy! Eureka Springs Farmers Market. Open year round. Click here for details. Eureka Springs Tram Tours. 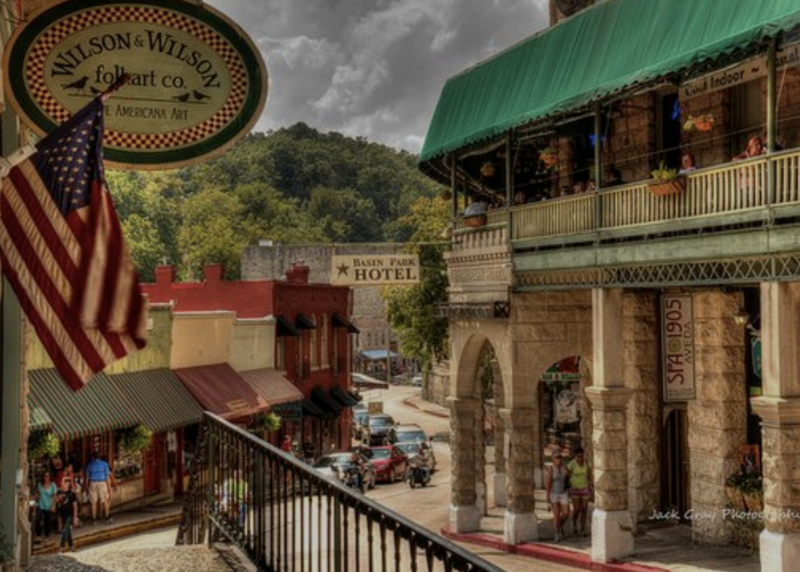 Ride slowly through the beautiful and charming historic district of Eureka Springs. Click here to buy tickets. Where the heck is Kingston, Arkansas? Click here to find out. 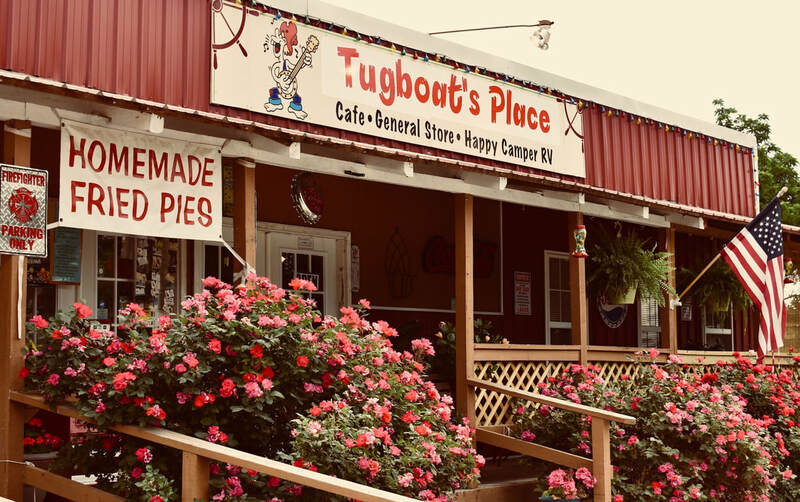 We hear they have the best ice cream in town as well as handmade arts and crafts. Fried chicken, mashed potatoes, gravy, red beans, and a buttermilk biscuit, Southern comfort food! Click for a list of Eateries. History mural of Eureka Springs. Create your own memories and build some new ones as well. Click here to see what this small Ozark town in Northwest Arkansas has to offer you! Beaver Lake is one of the premier fishing sites in the area. Striper, Bass, Catfish & Trout are abundant! Guide services are available. The Harris Art Garden & Gallery where you will find the metal sculpture work of J.D. and the stained glass and beaded jewelry art of Cathy. Click here to read more. Beautiful wedding venues, unique receptions, click here to start planning now. Stay at the Haven for the perfect honeymoon place, or a romantic hideaway. Stay with us and take a jar of Ivan of the Ozarks Razorback BBQ Rub back home. Ivan spent 22 years perfecting his recipes. Click here to live high on the hog!